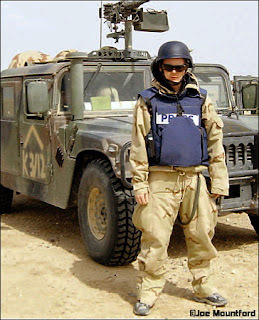 Since it would appear that no self-respecting army would nowadays go about its business without embedded news teams, there is no reason their miniature brethren should go about theirs unburdened by hapless journos. 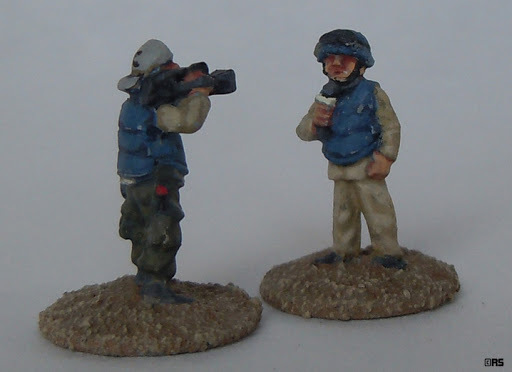 There are three options for 15mm news crews: Peter Pig's TV/Media Crew (found in the extras of the AK-47 range) which is perfect for the 1960s or 70s, QRF's News media team which portrays more recent correspondents and Oddzial Osmy's Reporters which are in fact part of Marcin's sci-fi range. I chose the latter since they have nothing particularly futuristic about them and are the only ones wearing body armour and therefore perfect for contemporary settings. The six-figures pack contains three different scuplts with a bare-headed reporter speaking into a microphone, a cameraman and a female photographer. 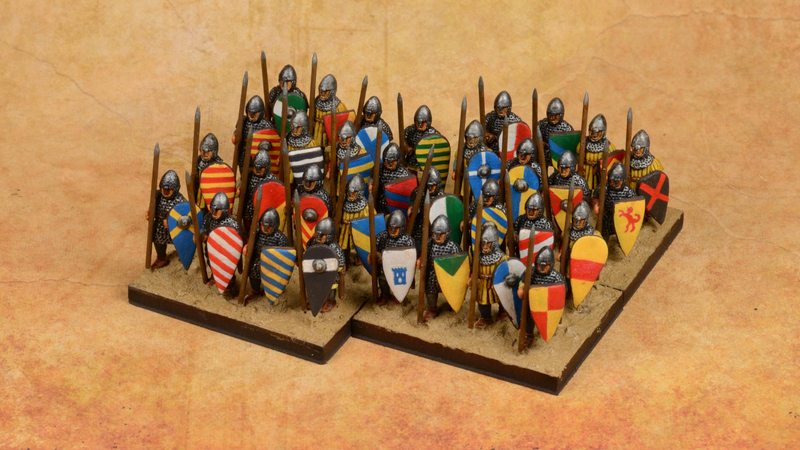 The sculpts are excellent and the hard-alloy figures are very well cast and need little cleaning up as you can see from the raw figures to the right. The pack is a little expensive at £3 but this is OK if you don't intend build a horde of television crews. The reporter's head was swapped with a Fritz-wearing one from a spare Peter Pig marine to bring it closer to the contemporary war correspondent look brilliantly and humorously captured by the cover photo of War Reporting for Cowards. The alloy is a little hard to drill but this was an easy conversion and any excess superglue can be painted as body armour neck protection. The chubby cameraman with a baseball cap and a Coke bottle in his pocket was left untouched and is definitely my favourite figure from this pack. The photographer has been kept for another project as she is obviously dressed for a more sedate setting. 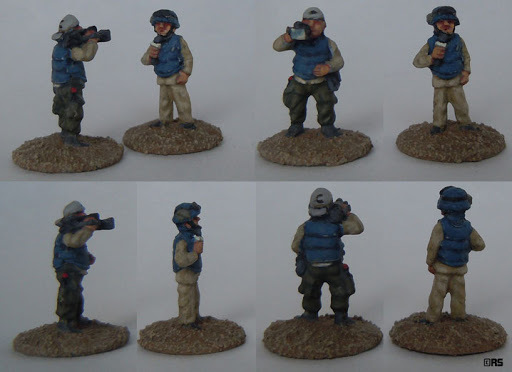 The painting looked rather sharper before my rather heavy-handed varnishing and macro photography is pitiless but the figures turned out OK and make for a nice distraction from batch painting camo uniforms.